Adopted on July 10, 1990. 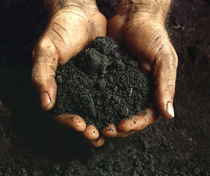 The Paxton Soil Series was adopted by the Legislature on July 10, 1990. 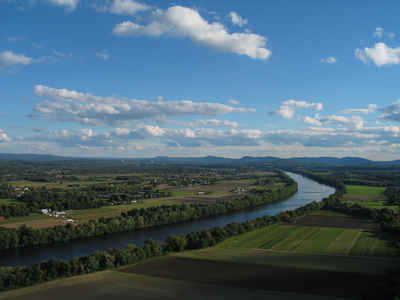 The Paxton soil series was established in Worcester County Massachusetts in 1922, and is named for the town of Paxton where it was first described and mapped. Paxton soils occur on about 400,000 acres of the 5.3 million acres in the state. In 1991, the State Legislature designated the Paxton series as the Massachusetts State Soil. The Paxton series consists of very deep, well drained soils on glacial till uplands. These soils formed in friable glacial till overlying firm, dense till. The dense till is the outstanding characteristic of the Paxton series. Permeability is moderate in the surface layer and subsoil and slow or very slow in the substratum. Available water capacity is high. Reaction ranges from very strongly acid to moderately acid. A seasonal high water table is perched at a depth of 1.5 to 2.5 feet. Where stones have been cleared and slopes are gentle, Paxton soils are well suited to cultivated crops, hay, and improved pasture. Some areas are used for residential development. Most areas where stones have not been cleared and slopes are steeper are wooded. 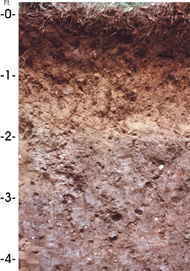 The Paxton series consists of well drained loamy soils formed in lodgement till. The soils are very deep to bedrock and moderately deep to a densic contact. They are nearly level to steep soils on till plains, hills, and drumlins. Slope ranges from 0 to 45 percent. Saturated hydraulic conductivity is moderately high or high in the surface layer and subsoil and low to moderately high in the substratum. Mean annual temperature is about 10 degrees C., and mean annual precipitation is about 1194 millimeters. Section 33. The Paxton Soil Series shall be the official soil of the commonwealth.